The farm bill, also known as House Resolution 2, would require able-bodied adults ages 18-59 to work a minimum of 20 hours a week to receive benefits through the Supplemental Nutrition Assistance Program (SNAP) — the federal government program that provides food stamps. At least 1.6 million Americans will get off SNAP if the provisions in the bill pass, according to the Congressional Budget Office (CBO). The CBO estimates that at least 1.2 million Americans will discontinue participating in SNAP due to the work requirements. An additional 400,000 could drop off the food stamp rolls over ten years because of a provision in the bill that would close a loophole allowing individuals to qualify for food stamps without meeting an “asset test,” according to the CBO estimate. But the number of people getting off food stamps could be more than what the CBO or the House bill is projecting, according to House Agriculture Committee spokeswoman Rachel Millard. “They don’t distinguish in their analysis who will come off due to the fact they have found employment providing them enough money to no longer need SNAP, or those who have chosen to remove themselves from the program due to the fact they haven’t fulfilled the work requirement, which can also be fulfilled through training,” Millard told Breitbart News Wednesday evening. Millard added that the provision in the House bill causing 400,000 of the 1.6 million Americans estimated to drop their SNAP benefits would close a loophole used under the Obama administration called Broad Base Categorical Eligibility (BBCE). Under BBCE, American households were eligible to receive SNAP benefits if they were authorized to receive “a TANF-funded brochure” or “hotline number” without qualifying for SNAP’s income and asset thresholds. However, the farm bill would still allow those who meet the “asset test” to receive benefits. The idea of reforming the food stamp program has remained popular with the American public. 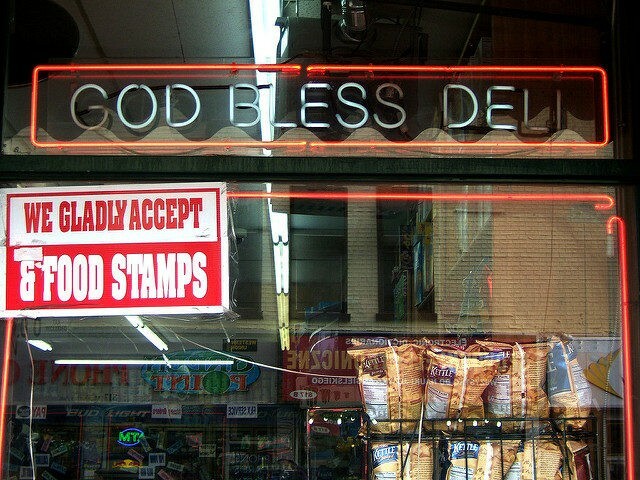 A Foundation for Government Accountability (FGA) survey published in April revealed that more than 82 percent of Americans support the idea of food stamp recipients having to meet work requirements. The survey stated that 94 percent of Republicans and 71 percent of Democrats are in favor of work requirements. 2 million people will have their access to food threatened if the @HouseGOP passes their hyper-partisan #FarmBill. We should strengthen and #ProtectSNAP — the most effective anti-hunger program in US history — not put Americans at risk of going hungry. The House Agriculture Committee voted to advance the bill in a 26-24 vote. The bill is headed to the House floor for a vote this week.